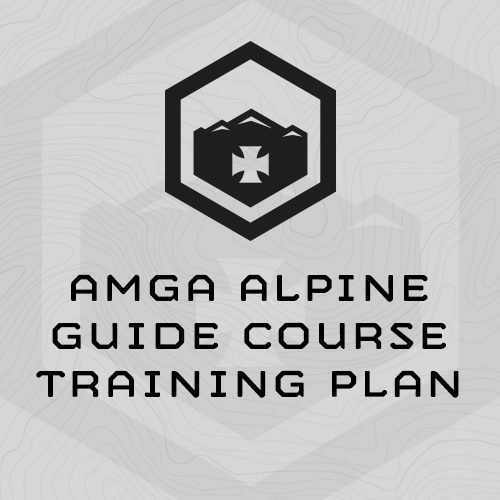 This 6-week program is designed specifically to train athletes for the 9-day AMGA Alpine Guide Course. You’ll train 5 days per week. The program is progressed – it gets harder – so do each session in order. Don’t skip around. If you miss a day, pick up where you left off. Sessions will take 60 min. except for Thursday’s Endurance session, which starts at around 45 min. and increases duration to around 1.5 hours.